You love to play board games and you want to get good at playing them, but then you ask yourself this question. As a beginner which board games would be the best for me to learn how to play? While playing rare gems of board games is certainly one way to go, let’s stick with the games that many people know by heart. Originated in 1903 with the current version being published in 1935 by Parker Brothers, Monopoly is a board game where players try to purchase the most property on the board of play in hopes of establishing a monopoly. 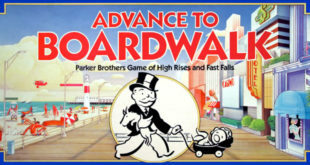 The object of this game is to become the wealthiest player through buying, renting and trading property while also trying to bankrupt all other players. Game equipment for Monopoly includes 2 dice, 32 houses, 12 hotels, 16 Chance and Community Chest Cards each, 28 Title Deed Cards and exactly $20,580 of “Monopoly Money”. Each player will have $1,500 to start the game, receiving 2 $500 bills, 4 $100 bills, 1 $50 bill, 1 $20 bill, 2 $10 bills, 1 $5 bill and 5 $1 bills. The players will choose who the Banker/Auctioneer will be to manage money distribution and general transactions. If a player rolls doubles on a turn then that player can roll again, but if doubles are rolled 3 consecutive times then the player is sent to jail. Once a player passes the “Go” Space, $200 will be collected. A player can buy any unowned property after landing on it, and if a player lands on a property already owned by an opponent, then rent must be paid. Players must avoid landing on the corner “Go To Jail” Space while the “Free Parking” Space is a safe spot for players. Learning how to play Monopoly will teach beginners how to manage assets as well as how to spend and save money. The simple concept of buying, selling and making trades with other players will encourage beginners to be more resourceful for both good and bad events on the board. Originating in India around the year 500, Parcheesi is the American adaptation of the Royal Game of India. Typically played with 2 dice and 4 pawns per player, the game board consists of 4 corner spaces and 4 “Home Paths” that lead the pawns to the center end space. There are a total of 68 spaces around the edge of the board along with 12 darkened “Safe Spaces” where no pawn can be captured. Only 1 die is rolled by all players to determine turn order. Players will place their 4 pawns in their color’s Start Area, and once out the pawns will go counter-clockwise around the board. A player can move 1 or 2 pawns with a single roll, using the number of one or both dice. A pawn can only leave its Start Area if a 5 is rolled, either a 5 showing on a single die or both dice adding up to 5. All rolls must be taken and not forfeited. Once a player guides all 4 of his or her pawns into the center end space, that player will win. Beginners will get acquainted with the strategic elements of Parcheesi right away as they will make sure to form blockades on certain spaces so that other pawns can’t occupy the same spaces as their own pawns. 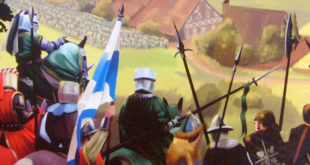 Blockades are created by a 2 pawns of one player occupying the same space. An opponent’s pawn can be sent back to his or her Start Area if a player’s pawn lands on the same space. A free move of 20 spaces, either split between more than one pawn or all 20 taken by one pawn, will be awarded for sending an opposing pawn back to its home. A free move of 10 spaces will be awarded if a pawn makes it to the center home space. Played on a 10-by-10 square board which includes 2 big lakes, Stratego is a game of battle between 2 players. The object of Stratego is to either find and capture your opponent’s flag or capture so many opposing soldiers that your opponent becomes incapable of making any moves. You control 40 soldiers in your unit, and these soldiers are pieces that contain varying army ranks. The Marshal is the highest ranked piece at 10. The General has a value of 9. The Colonel has a value of 8. The Major has a value of 7. The Captain has a value of 6 while the Lieutenant is at 5 and the Sergeant is at 4. The Miner has a value of 3 while the Scout has a value of 2. The lowest ranked but still important piece is the Spy. The Marshal can only be captured by the Spy if the Spy initiates the attack. You have 8 Scouts to deploy and they can move far in a straight line, but they can’t leap over any pieces nor any lakes. The Miner has the special ability of defusing bombs. Both players will have 6 bombs to plant on the battlefield and they will instantly take out any attacking piece that isn’t a Miner. All bombs and the flag can’t move. Stratego is a game of incomplete information and discovery, so beginners will learn how important it is to keep track of the placement of pieces as well as how the flag is being protected. Identifying where your opponent’s pieces are becomes critical as the game progresses. Specific strategies such as not rushing Miners out too quickly, protecting a Sergeant with a Captain, using the “Evens and Odds” method of protecting pieces and keeping higher ranked pieces back for later attacks should be considered. 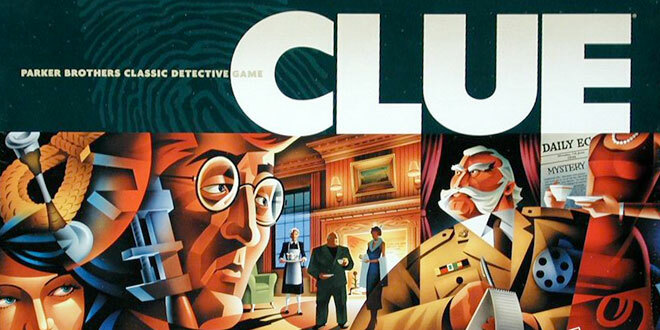 Also known as Cluedo, this is a classic murder mystery board game where players need to find out just who murdered Dr. Black (UK version) or Mr. Boddy (North American versions). 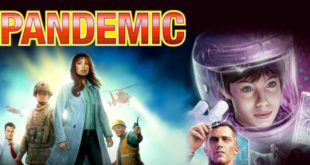 Designed for 3 to 6 players, all players will take on the roles of suspects in this mystery as they move around on the game board from room to room, and they will investigate all the possibilities. Collecting clues and critical information, players will eventually realize just who murdered the owner of Tudor Mansion where with which weapon. The object of the game is to be the first player to make the correct accusation in the room where the murder was committed. 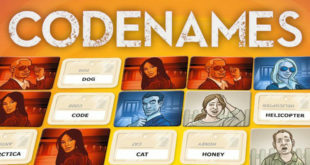 There are 6 color tokens and 6 miniature weapon tokens, 1 or 2 dice, 3 sets of cards which contain the rooms, the characters and the weapons, the Secret Envelope which contains the character who used the correct murder weapon in the correct room, and detective note pads for players to keep track of all accusations that are made. When you factor in the 6 characters and weapons and the 9 rooms in Tudor Mansion, there are a total of 324 possibilities. Going through all the rooms and corridors and using the secret passages, which can be found in the Kitchen, Conservatory, Study and Lounge rooms, beginners will notice that memorizing what has already been put out there for accusations is crucial for getting closer to finding out who committed the crime. Though you can’t make an accusation while in the corridors, you may gain an advantage depending on where you are on the board. The Billiard Room and the Library are 2 smaller rooms split up, sharing one part of the board. This is a simple board game of finding the right words to put down in a single line. Scrabble is designed for 2 to 4 players and the object of this game is to score the most points after all letters in the bag have been played or when no player can make another play. Players will place letter tiles down on a 15-by-15 square board that contains many bonuses. Double Letter Score, Triple Letter Score, Double Word Score (which is also the center Star Space), and Triple Word Score Spaces are the bonuses that add to a player’s score. Play begins when one player can put 2 or more letters down on the center of the board to form a word. On a turn a player can opt to either pass and score no points, exchange a tile for another from the bag and score no points, or play at least 1 tile on the board and score some points. Once a tile is played on the board it can’t be taken back off the board. Once you play a tile you must pick a tile from the bag to replace it as you must keep at least 7 tiles for most of the game. For beginners it’s important to look out for which letters are drawn because they could make or break a game of Scrabble. The more common letters such as A and E are worth 1 to 3 points, but the more uncommon letters such as Q or Z are worth 10 points, meaning that if you can make a word using these letters then you will be on the right track to victory. Q is a difficult letter to deal with throughout the game while C and V are especially difficult toward the end of the game. Beginners should value the blank tiles because they are basically wild cards. Blanks can be designated as any letter, but once they become a letter in a word on the board, the blanks can’t be changed to a different letter.